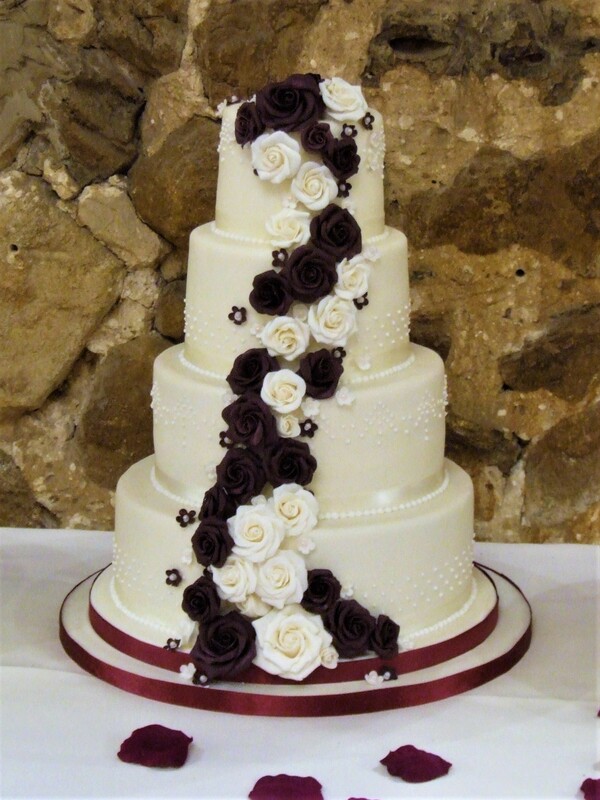 A tale of four tiers, and three flavours! Chocolate, vanilla and lemon sponge tiers for the main cake, plus chocolate and vanilla cupcakes and also more chocolate cake in the form of a separate cutting cake to cater for all the guests. 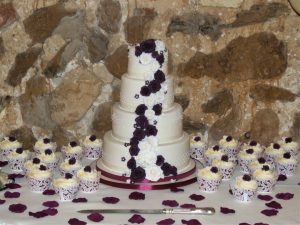 A lovely couple, who had a fantastic venue dressed up beautifully complete with giant netted balloons. 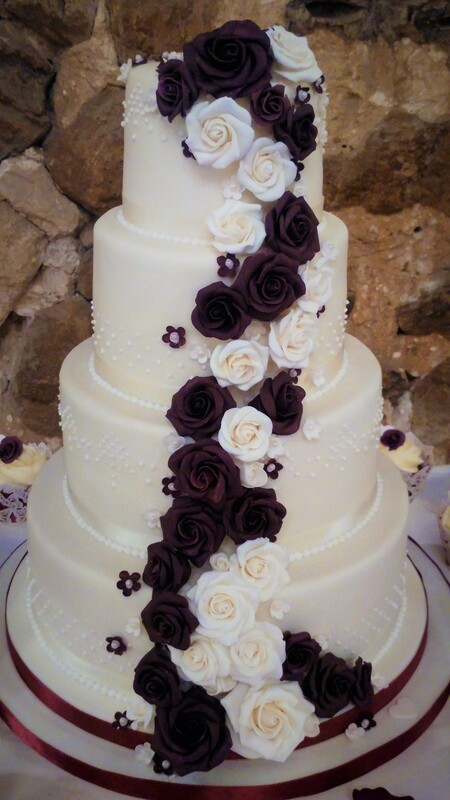 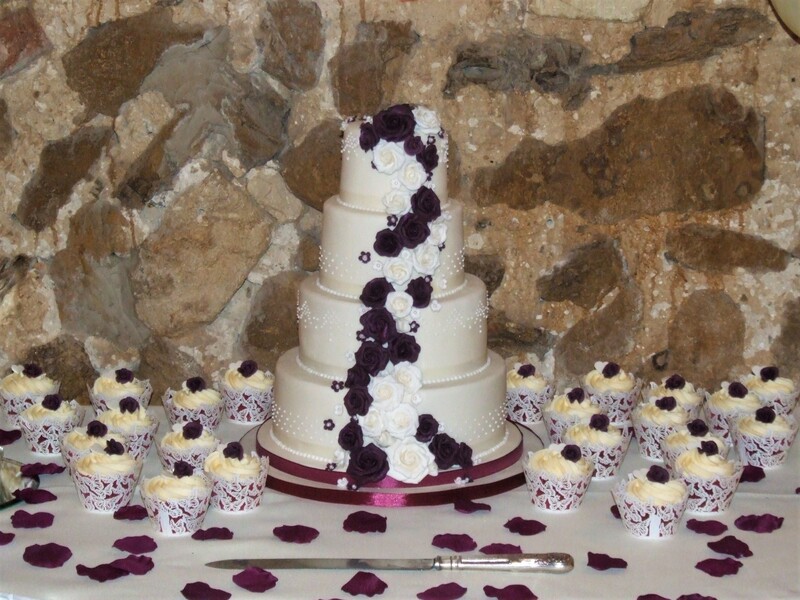 Each tier was piped with a series of decorative dots and a cascade of burgundy and ivory roses spills down the front. 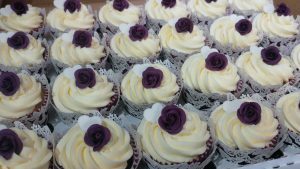 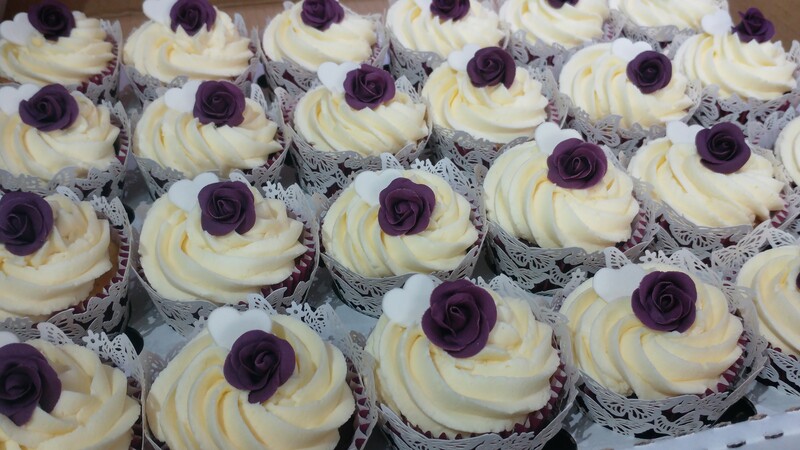 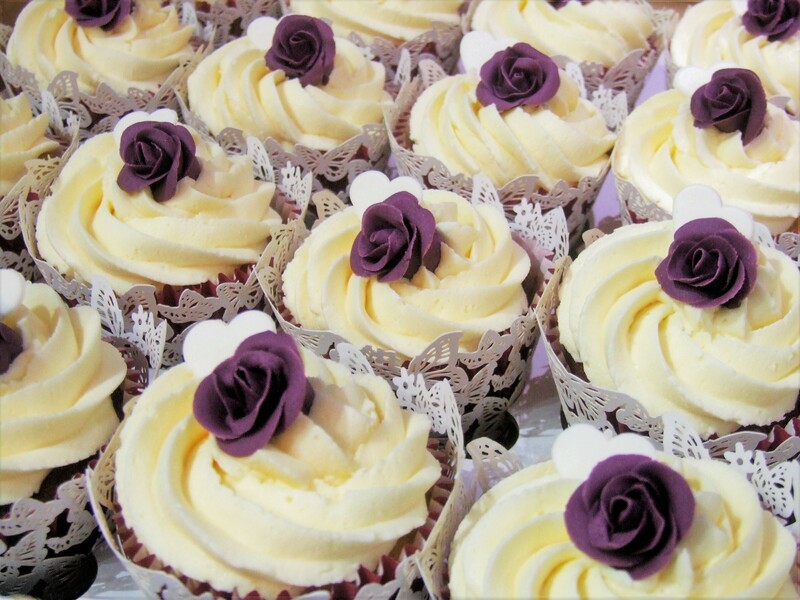 Each of the cupcakes is decorated with burgundy roses and an ivory heart, with some pretty butterfly wrappers over the burgundy cake cases. 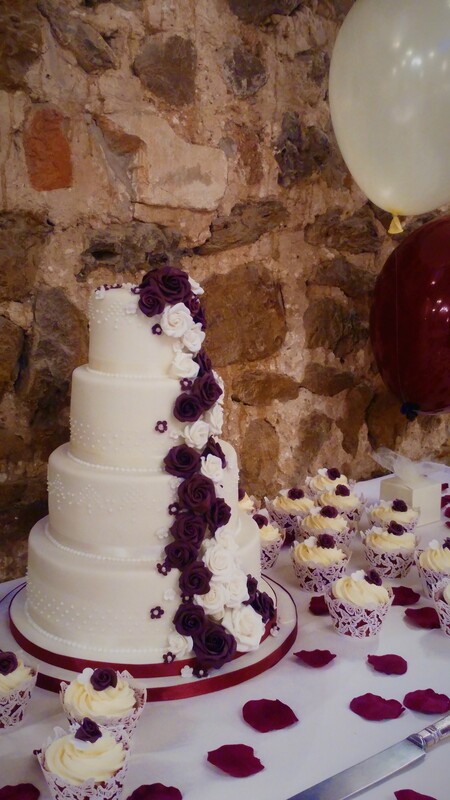 Unfortunately the lighting was a bit odd at this venue, and doesn’t show the true colour of the roses which were a deep burgandy/purple colour and ivory on an ivory base.